They say there is always a first time. It will be the first time for Cyprus and the European Union to merge into one extremely challenging presidency in the next 6 months. In a moment when the EU is trying to solve problems, caused by economic, social, cultural and political divergences, at the helm of the EU stands a country which has all these divergences on a territory of a little over 9 thousand square kilometres, one third of which occupied by Turkey and with a population (without the Cypriot Turks) of a little over 1 million people. The small size of Cyprus is its smallest problems as well from the presidency perspective. Much more essential problems for the realisation of its priorities stem from the fact that it has unresolved territorial dispute, which is an obstacle for one of the most successful and significant EU policies - enlargement. Cyprus is also the country with the lowest corporate tax; the fourth eurozone member state to ask for a bailout from the EU, but also from Russia; a country which is ruled by a communist president. During one of the hardest tests for every presidency - the hearing in the European Parliament - Cypriot President Demetris Christofias recalled a story with Socrates who explained what it was to be a good citizen of Athens. This was to work to make Athens a better place. Mr Christofias said this in the context of his country's strife to be a better European. "We are good Europeans", said earlier in the week in Brussels Andreas Mavroyiannis, a deputy minister for European affairs. Against the backdrop of all the problems the country has and which will probably earn another low score for the EU globally, there is something positive Cyprus is brining in - openness. What caught my attention in the statements of Cypriot officials in Brussels and Strasbourg these days was that they did not hide the situation their country was in and they were not afraid to answer uncomfortable questions. Moreover, they are trying to suggest that Cyprus will make a distinction between professional and personal and will do their job as a presidency on all European dossiers, as it is modern to say in the Brussels language - from the negotiations on the next budgetary framework (MFF) to enlargement. "We are facing huge problems, but we have the enthusiasm of a newcomer and we have the skills of the human resources who will allow us to tackle the challenges", said Andreas Mavroyiannis in the beginning of the week on the occasion that Cyprus had become the fourth eurozone country (without Spain, which is a slightly different case), which queued for bailout. At the moment, there is a Troika mission in Nicosia, which is analysing Cyprus's needs of financial assistance and is developing the programme, which the country will have to implement in order to get the money. Alas, the government will not be able to take advantage from the agreements of the latest EU summit on June 28-29, when it was agreed the eurozone rescue funds to be used in a flexible way for countries in need and when a decision was taken the hated by all, most of all by Greece, Troika, which consists of experts of the IMF, the Commission and ECB, to be removed. This, however, does not mean that the bailed out countries will not implement strict conditionality. They will and it will be in the framework of the reformed economic governance of the EU. Probably this is the reason why Cyprus decided to ask for a bailout from Russia as well - an issue which annoyed many. Responding to journalists in Brussels whether Cyprus was not trying to avoid the disciplinary measures by asking for money outside the EU, Andreas Mavroyiannis said that for centuries Cyprus had close relations with Russia and that Cyprus was home to many Russian investments, as well as to many European investments bound for Russia. Nonetheless, Cyprus is a good member of the EU, it adheres to the acquis communautaire and does not avoid taking up responsibilities, Mavroyiannis added, but a few days later was refuted by President Christofias. Again before journalists, to the question at what stage the negotiations with Russia on a bilateral loan were, the president said that the conditions Russia offered were better than those of the rescue mechanism. Russia did not demand anything in return, it offered low interest rates and this was so because Cyprus was populated mainly by Orthodox Christians and had traditional cultural ties with the Russian Federation, admitted quite honestly the Cypriot head of state. These close ties, as well as the Russian past of Christofias himself, were a subject of criticism in Strasbourg by MEPs from various political colours. 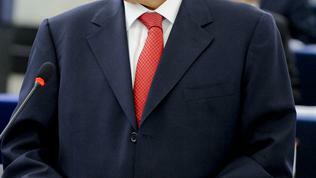 Christofias graduated social sciences in Moscow. 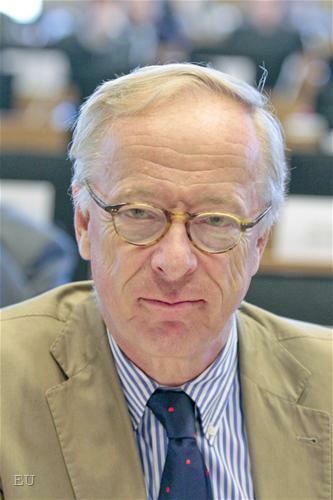 On behalf of the liberal group in Parliament, the British MEP, who is also a member of the contact group for relations with the Cypriot Turks, Graham Watson, in a short statement urged Cyprus not to take credits from Russia, to use its own resources and to put an end to its energy dependence from Russia. Kristiina Ojuland, also a liberal (Estonia) and a member of the delegation for Russia, called on Cyprus to fight against corruption and impunity in Russia. "I hope that your close ties with Russia will not turn into an obstacle for human rights". Another problem, which the EU will have in the current semester, is related to Turkey and its EU membership aspirations. Ankara officially announced that it would not work with the Council Presidency and that the main work of the country was with the Commission and parliamentary committees, which would continue. As the Turkish chief negotiator with the EU, Egemen Bagis, explained in Sofia, after being asked by euinside, the rotation presidency did not matter for Turkey. Alas, it is important and not only for Turkey. For the first time in a few years there is movement in the frozen accession process of Turkey, thanks to the initiative of Stefan Fule, the enlargement commissioner, called positive agenda, which already has a more concrete shape - synchronising the Turkish-European efforts in the area of energy. Not only Stefan Fule, but 16 foreign ministers of EU countries united their efforts in an attempt to move the process forward. They came up with a joint article, in which they call on both sides (EU and Turkey) for progress in the accession process. Against this backdrop, the signals from Strasbourg were a bit disappointing from a geopolitical perspective, but are a clear signal for the moods of the European citizens, whose directly elected representatives the MEPs are. During almost a 3-hour long hearing in the European Parliament, there were a number of statements, most of which were in support of Cyprus and the "insult" Turkey brought to the country by not recognising it as an independent state. According to Nicole Sinclare, an independent British MEP, because of this "insult" the accession negotiations with Turkey had to be suspended. 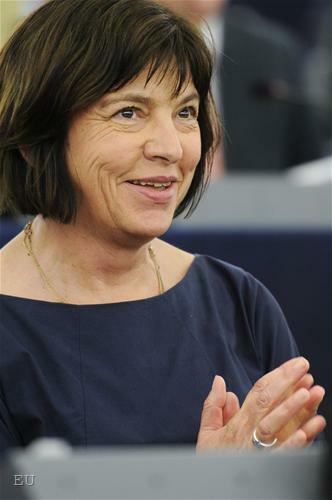 Rebecca Harms, co-president of the group of Greens and the European Free Alliance (Germany), pointed out that the Cypriot Issue would focus the attention on Cyprus and urged for the unification of the Cypriot Greeks and Turks. 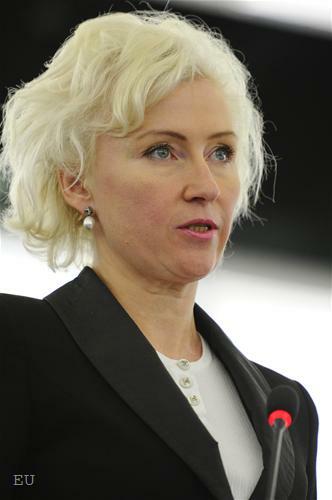 "No matter how unpleasant it might be for Turkey, it has to work with the Cypriot Presidency, especially if it wants to join the EU", said Maria Eleni Koppa, a Greek MEP from the group of Socialists & Democrats. In his turn, Graham Watson called on Cyprus to talk to Turkey. Although in their introductory remarks, neither the president of Cyprus not any of the Cypriot team mentioned explicitly the Cypriot Issue or Turkey, Christofias got angry with Sir Watson's call and said: "I don't need you to remind me, to urge me to talk with Turkey. He [Graham Watson] should turn to Turkey and tell them 'speak to Christofias, because he is ready to talk to you'!". With a direct message he also turned to the Turkish Prime Minister Erdogan, saying: "I will tell Mr Erdogan too - let's talk!" 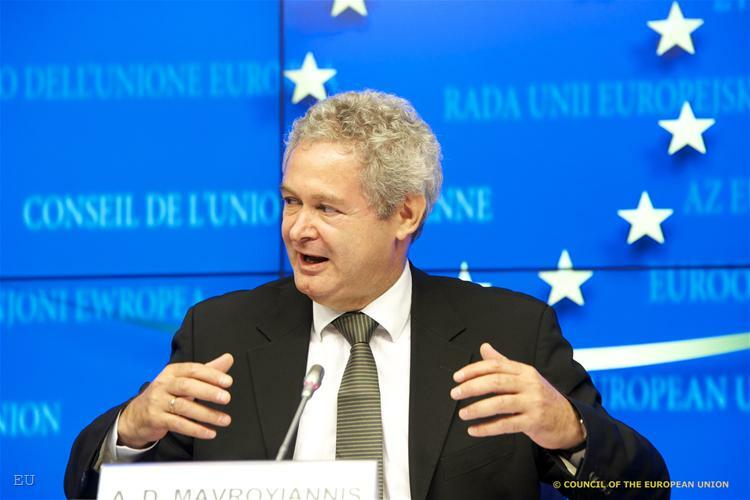 Andreas Mavroyiannis was less emotional before journalists a few days ago, when he explained that Turkey was an important factor in the region of the Middle East, where Cyprus had interests and a role. "I will not hide from you that we have some worries on how Turkey is dealing with Syria", he added but reassured that "as a presidency we will work with all partners". The disputes were ended by President Martin Schulz who said that the EU did not want to join Turkey but it was the other way round, so Turkey had to weigh in the conditions. One of the questions that sparked heated debates in Strasbourg was how a communist combines his views for the free market as president of one of the big world financial centres. 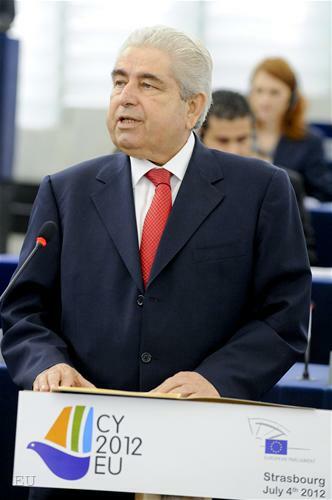 In his introductory remarks in the European Parliament, Demetris Christofias explained on the occasion of the crisis in Europe, that "the free market was one thing but impunity of the market was another. The withdrawal of the state from control is something negative. We cannot leave society to the will of the market and the various interests that make it move". From then on he explained that austerity policies were counter-productive and deepened the crisis. This statement forced a Swedish right-wing MEP, Gunnar Hoekmark, to state that, on the contrary, increasing spending was not helpful. 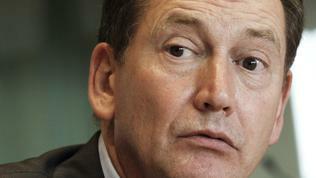 "No one has suffered from too much market economy. 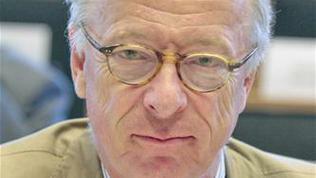 Bureaucracy, over-regulation, monopolies are those that impede growth", the MEP added. "Don't worry, communism will not harm the EU, it will try to make the EU a union that is fairer in social aspect", President Christofias answered, recalling that he was proud to represent a party which fought against fascism, against the occupation of the island and to secure better life for the Cypriot citizens. Asked in the end of the hearing, how the fact that Cyprus prospered on the basis of being a financial centre was in harmony with his communist views, Christofias expressed disappointment that Cyprus was often misunderstood. 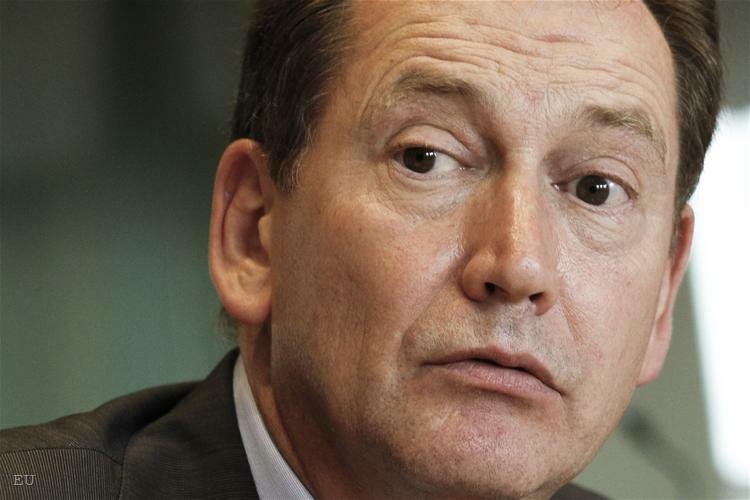 "Obviously, someone thinks that the market does whatever it wants in Cyprus. This is not true. Our government and our institutions interfere when there are market anomalies". Financial services are the backbone of the economy of Cyprus, continued the president of the country, after having being asked whether he expected Cyprus to be pushed, as happened with Ireland, to increase its corporate tax rate. Christofias reminded that tax policy was part of the negotiations when Cyprus joined the EU in 2004, hinting that whatever was agreed then was valid today. If tax was to be increased to 15%, the businesses would flee the country, he explained. When reporting of the achievements of the Danish Presidency, was highlighted the start of accession talks with Montenegro, Serbia being given a candidate states, as well as the dialogue with Bosnia and Herzegovina. Cyprus said it would work on all topics in EU's agenda, including achieving progress in enlargement. A Croatian journalist asked Andreas Mavroyiannis, the deputy minister for European affairs of Cyprus, how would the presidency continue the Pristina-Belgrade dialogue, since Cyprus was one of the five EU member states that had not recognised Kosovo's independence and did not maintain any official contacts with the former Serbian province. 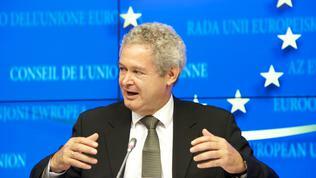 Mavroyiannis was evasive in his answer: "We are going to deal with the issue in a very presidential manner. We are going to implement all decisions. There is no national agenda. 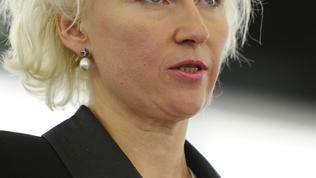 The EU is trying to have a status-neutral approach towards Kosovo". 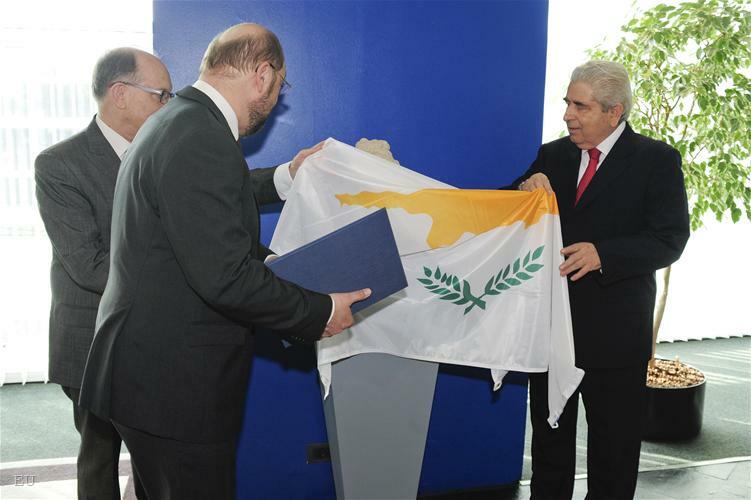 European Parliament President Martin Schulz, a socialist, was confident that the Cypriot presidency would succeed. Does it matter whether the president is a German or a Cypriot, he asked rhetorically and answered: "We are all European". The next 6 months will show whether this is so. 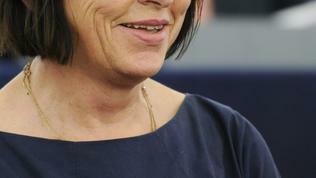 Not a few MEPs warned the Cypriot president that a tough presidency was ahead of him. And this is true. We are yet to witness whether being a good citizen of Athens will also mean helping Athens being better by doing nothing, or Cyprus will find a way to make an omelette without breaking the eggs. *Author of the term 'bailout presidency" is Mr Dimitar Ashikov, economist and host of euinside's feature euoutside.